Winner of two 2015 Eisner Awards, for Best Anthology and Best Publication Design (by Jim Rugg), and the 2015 Harvey Award for Excellence in Presentation! To watch the editors discuss the creation of the book and legacy of McCay at the Library of Congress in Washington, DC, click here. LITTLE NEMO: DREAM ANOTHER DREAM was made possible by our 1,087 supporters who together raised over $150,000 on Kickstarter. In Locust Moon Press’ anthology LITTLE NEMO: DREAM ANOTHER DREAM, many of the world’s finest cartoonists pay tribute to the master and his masterpiece by creating 118 new Little Nemo strips, following their own voices down paths lit by McCay. Contributors include Paul Pope, J.H. Williams III, Bill Sienkiewicz, David Mack, Carla Speed McNeil, Charles Vess, Peter Bagge, Dean Haspiel, Farel Dalrymple, Marc Hempel, Nate Powell, P. Craig Russell, Jeremy Bastian, Jim Rugg, Ron Wimberly, Scott Morse, David Petersen, J.G. Jones, Mike Allred, Dean Motter, Yuko Shimizu, Roger Langridge, Craig Thompson, and Mark Buckingham, among many others. 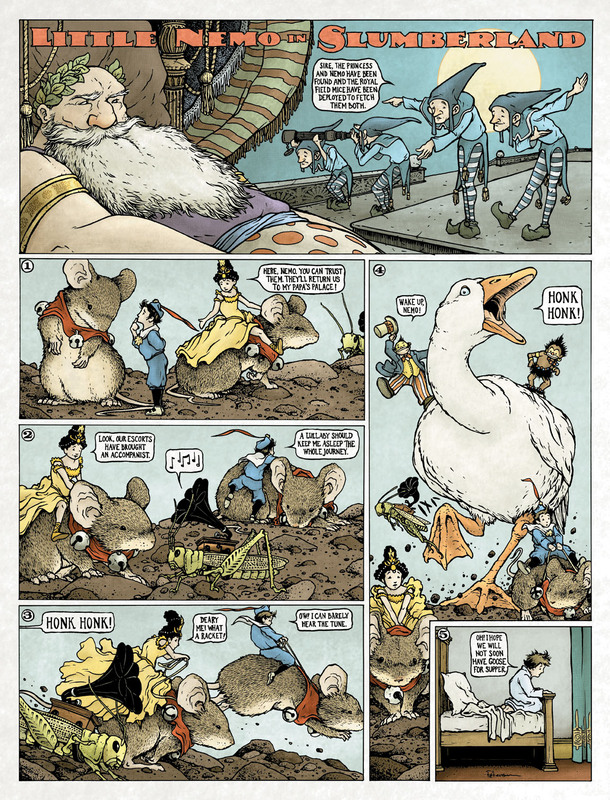 Released in the fall of 2014 as a 144-page hardcover (designed by Jim Rugg) at the full size of the original Little Nemo broadsheet pages (16″ x 21″), this book celebrates McCay’s endless legacy, charts his influence on generations of modern cartoonists, and most of all shines a light back on an artist who has given his art form so much, and whose work should be more widely known. Order your own copy now. More than just a book, this is a treasure—the stuff that dreams are made of. Winsor McCay might blush to see the awe-inspiring tribute his successors have assembled…these comics, like McCay’s, are more enjoyable than the sweetest slumber. Whimsical, witty, and absolutely wonderful, this collection of modern interpretations of Little Nemo in Slumberland by today’s master creators is the perfect introduction to one of the most innovative storytellers in the history of the medium. 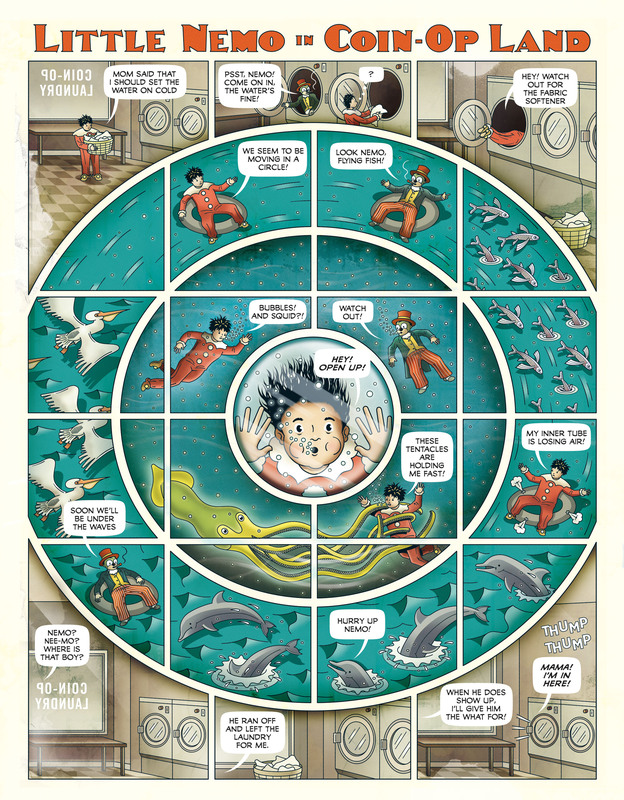 LITTLE NEMO: DREAM ANOTHER DREAM might just be the best anthology to come out in years. These loving and lovely tributes…end up being an essential companion to McCay’s strips themselves. The result is undeniably magical…DREAM ANOTHER DREAM affirms Winsor McCay’s transcendental legacy over generations of talent, inspiring hope more than a century later and proving that dreams truly never die. It’s comic book jazz…a book busting with artistic treasure. All of the contributors bring their own distinctive vibe and style to McCay, resulting in more than simple pastiche and conveying how indebted modern comics still are to his wondrous, magnificent imagination. LITTLE NEMO: DREAM ANOTHER DREAM is an anthology about the infinite potential of the comic-book medium, an inspiring work that shows what can be done with a few pages and a lot of creativity. It’s a true triumph and a wonderful tribute to McCay’s legacy, establishing Locust Moon Press as a major new force in the comics industry. The stylistic breadth of the book’s contributors — mainstream comics stars, old-school underground artists, young experimentalists — suggests how deeply McCay’s vision embedded itself in the entire medium. With LITTLE NEMO: DREAM ANOTHER DREAM there is an almost impossible richness and splendor to the artist’s offerings and, as happens so very rarely, the whole of this book is actually greater than the sum of its parts. 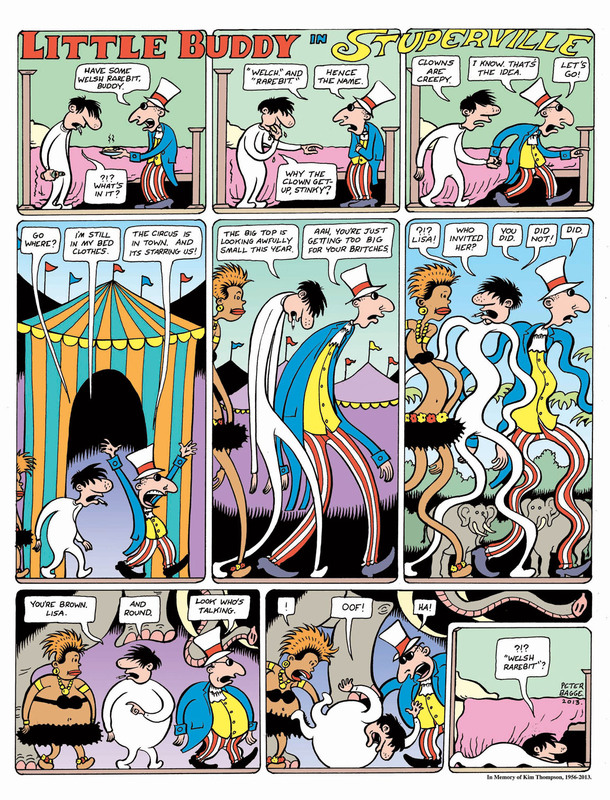 Every one of the artists responds to the powerful legacy of Little Nemo in wildly different, deeply personal, and utterly unique ways and every strip is a treasure. …this is a rare book, the perfect synthesis of loving adoration, sincere tribute, and brilliantly original creativity. With a credo of one-and-done from such a multitude of creators at this size it’s a sensory overload when admiring and meandering over every page. So many talented, hardworking, and accomplished cartoonists producing top-notch work. 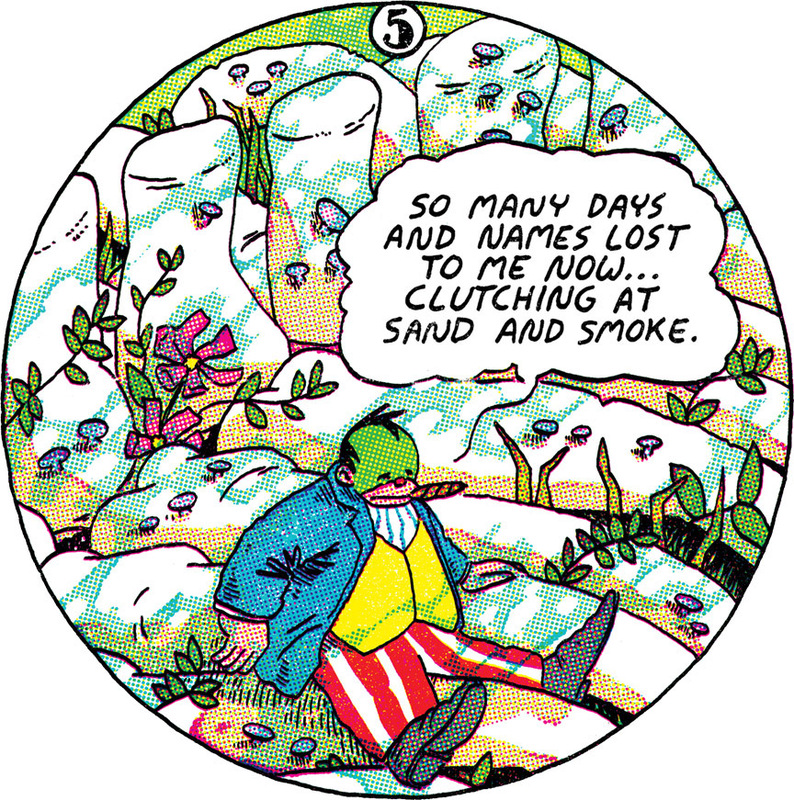 The virtual who’s-who-in-comics list of creators have risen to the occasion here…it’s a worthy homage to McCay and Little Nemo himself. Nobody owns Nemo. He doesn’t belong to a corporation; he belongs to everyone. And since he belongs to them, the artists in this anthology treat him as if he’s in their care. Wow…this is essential for art libraries and McCay’s most avid fans. With LITTLE NEMO: DREAM ANOTHER DREAM, Locust Moon Comics has to be put into the conversation of comics’ best, most important independent publishers. The fact that this project exists is something of a miracle to me. 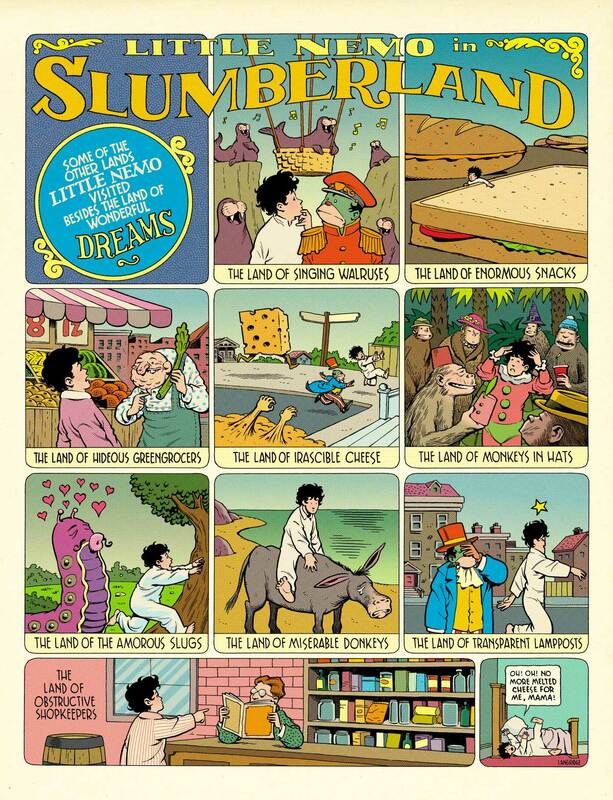 I think a massive oversized collection of “Little Nemo in Slumberland” strips by all of the greatest living cartoonists might be the best idea in comics that I have ever heard. No One is Innocent – Think About the Future, Eckhart. My favourite comics related project of 2014…Seriously, if you have a comic fan in your life, either they want Locust Moon’s LITTLE NEMO: DREAM ANOTHER DREAM or they don’t know it exists and they will love you for getting it for them. DREAM ANOTHER DREAM looks to be a loving tribute from dozens of talented artists to Winsor McCay’s classic strip. I am very excited to see how these creators interpret McCay’s world, and the oversized nature of the book (designed to be the same size as the original Sunday newspaper pages) along with the sheer quality of the previews I’ve seen look to make the rather high price point totally worth it. I cannot wait to read this book. 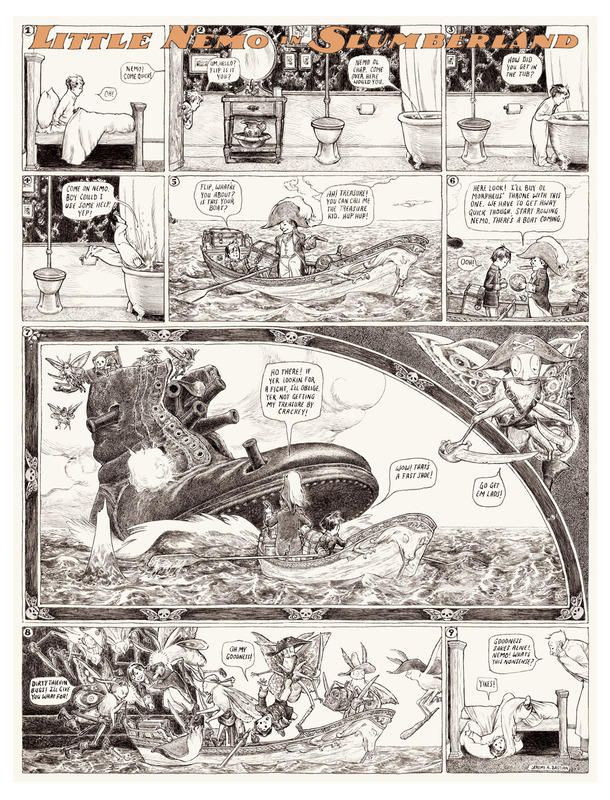 Perhaps the book of the show was the lone copy of LITTLE NEMO: DREAM ANOTHER DREAM…The crowdfunded book is in the vein of Peter Maresca’s oversized comic strip collections, and features a giddy array of variant visions by contemporary illustrators and cartoonists for Winsor McCay’s fanciful dreamer. The final effort is breathtaking. Among all these books, one deserves a particular note: LITTLE NEMO: DREAM ANOTHER DREAM…literally a giant tribute to Winsor McCay, and browsing its big pages…was a pleasure for the eyes. It’s the kind of book that just couldn’t be replicated anywhere near as equally in a digital version, one that reminds you of the unique physicality of print…it took my breath away on screen, [and] I can’t image what it will look like in print, in that gorgeous large format. 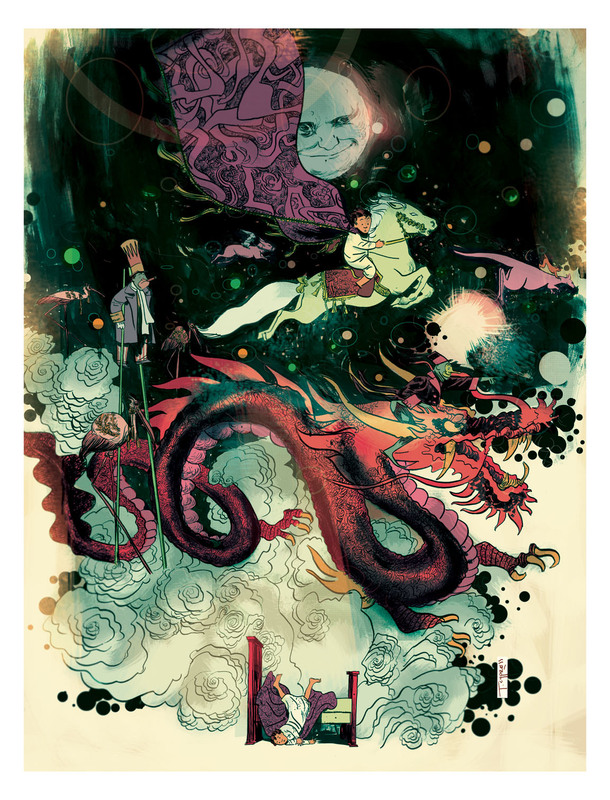 Locust Moon are a Philadelphia comic shop pulling off one of the books of the year in LITTLE NEMO: DREAM ANOTHER DREAM. How can I get alerted when this kickstarter is up? If you follow this blog via e-mail (see the right sidebar), you’ll get an update from us. Just a few more days…! Pingback: One Con Down, One to Go! | Monica Gallagher's comics, illustration, and freelance design website. Looks great! Thanks for including a few women. That was thoughtful. Is this book for sale?